The 300 2-stroke is the perfect crossover tool. New valve timing provides even more smoothness as the horsepower builds. This big power is delivered with perfect progression, guaranteeing maximum adhesion, synonymous with efficiency at the foot of the steepest slopes. The weight of the bike is very light considering the fact that it is equipped with a modern electric starting system; it is no heavier than a kick start system. 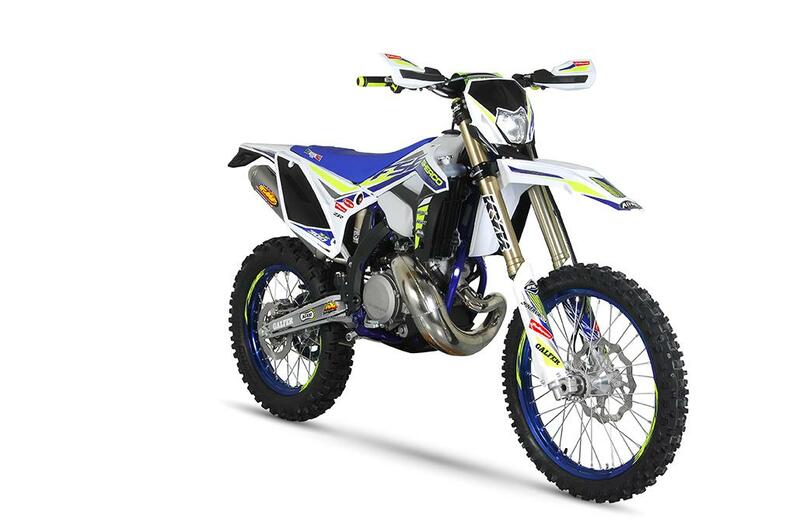 Deemed excellent by the franchise users, Sherco has further improved the bike this year so that it is even more suited to performing well in the extreme enduro events. The new clutch is even more durable and the gearbox has been strengthened. In the “soft” position, the new ignition settings and valve functions make extreme maneuvers manageable for every rider, no matter what their skill level is.